Oceania Dairy Limited is a wholly-owned subsidiary of Inner Mongolia Yili Industrial Group (Yili). Yili is China’s largest dairy producer and the 10th largest dairy company in the world. Oceania’s Glenavy, Oamaru processing plant has been designed for the production of milk powder for export to China where it is then processed by Yili to produce infant formula. In January 2016, Yili entered into stage two of the Glenavy site which included the construction of an Ultra High Temperature (UHT) plant, formula canning line, blending facilities and the expansion of the existing storage area. Brightwater was awarded the contract for the fabrication of a pipebridge as part of the expansion project. The pipebridge consisted of nine sections each spanning between 25m to 50m in length. 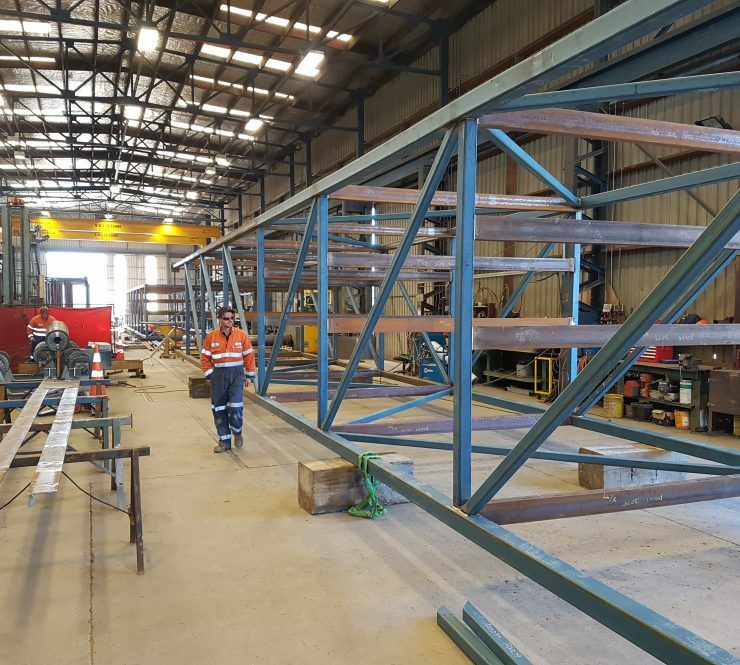 The bridge was a steel truss design roughly 3.5m x 3m in cross section loaded with up to 40 process and service pipelines which ranged in size from 300NB to 50NB. 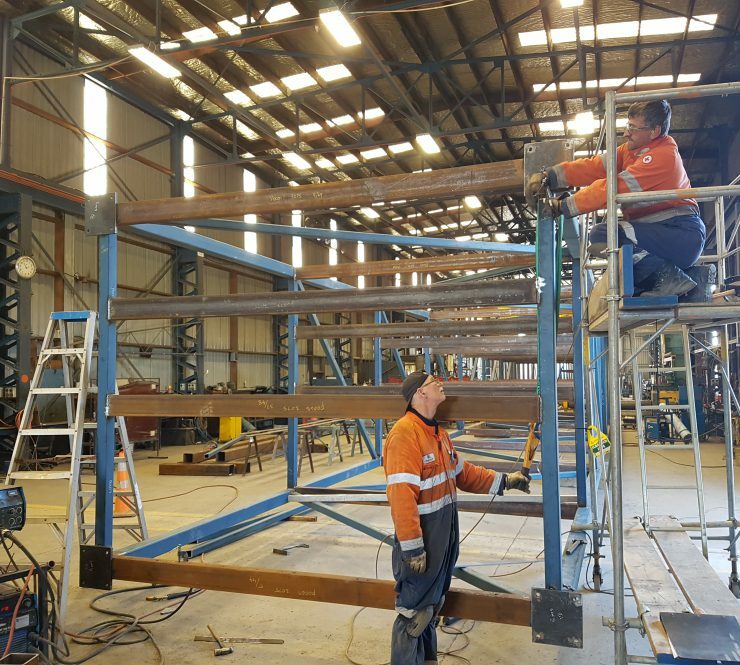 Brightwater undertook all aspects of the bridge fabrication in house including, steel detailing, steel fabrication, metal arc spray, ASME pipe welding, inspection and testing. By having all aspects of the construction in-house, Brightwater were able to ensure consistent quality and keep costs down for the client. 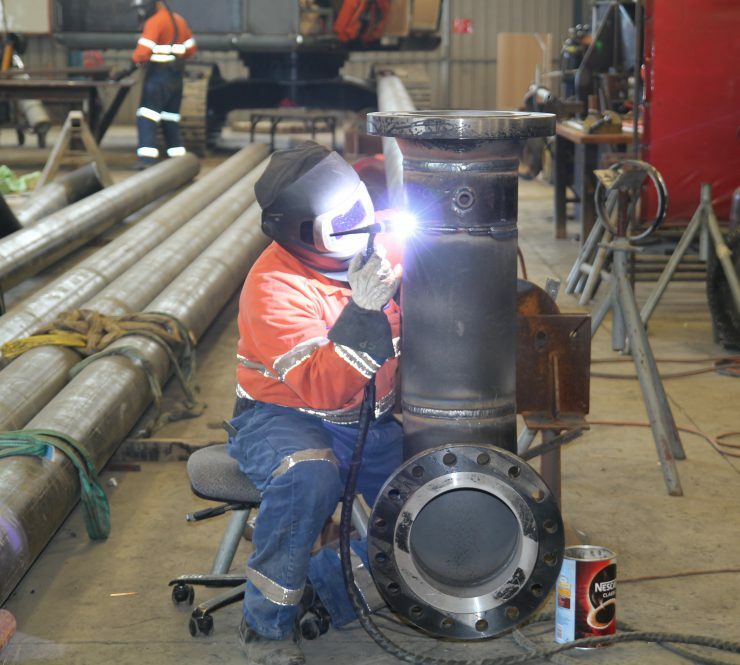 To help fast track the fabrication the job was split between Brightwater’s Nelson and Greymouth workshops meaning work could be carried out concurrently on multiple work fronts.